Kenneth Branagh's remake of Murder on the Orient Express proved to be quite a hit on a reasonable budget. Hitting a worldwide tally of $350 million at a cost of only $55 million, the studio was extremely quick to act on a sequel. Kenneth Branagh is set to reprise the role of Hercule Poirot in the Agatha Christie follow-up, Death on the Nile. Now, Fox studios has signed star Armie Hammer in the next entry in the series. No one knows exactly who he'll be playing quite yet, but he adds another great name to the follow up. Branagh will once again star and direct. Movie scribe Michael Green will be handling the writing duties once again. 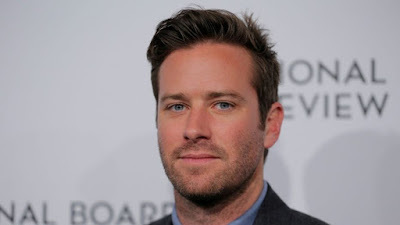 Hammer has built quite a name for himself over the past few years with numerous roles including the The Social Network, Lone Ranger and of course last year's Oscar darling, Call Me By Your Name. Gal Gadot was recently announced as part of the cast also.